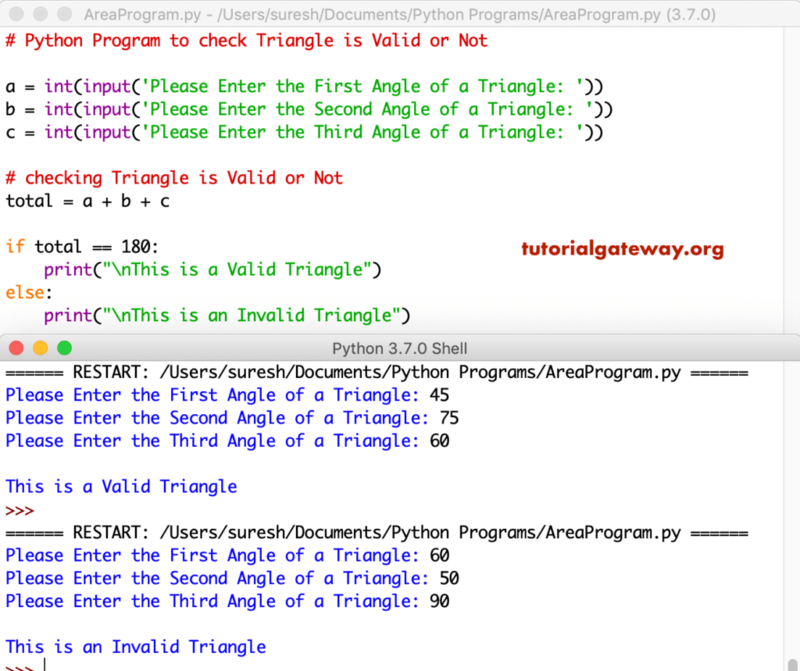 This python program helps user to enter all angles of a triangle. Next, we used If Else statement to check whether the sum of given angles is equal to 180 or not. If True, print statement will print valid triangle otherwise, Invalid triangle will be printed.